Just like in almost everything else, the natural option is always the best. It is safer and sometimes even more effective. Not to mention that is more affordable for sure. If you want to pamper your eyelashes and get them to grow thicker and stronger in a natural way, you are at the right place. Here you will find one of the most important natural oils that will do miracles on your lashes. People from ancient times are familiar with the benefits of the Castor Oil. Extracted from the castor bean seeds, it is rich in Vitamin E and fatty acids that nourish your eyelashes. This makes it a powerful follicle-stimulating, antibacterial, anti-inflammatory and nourishing oil that can help you have longer, stronger, thicker, and darker lashes. It is very concentrated; hence these nutrients can be found in a minimal amount of oil, and only small amount will be necessary to do wonders to your eyelashes. Castor oil can penetrate deep into the skin and work from inside out, meaning that it does its magic not only on the surface but also deep into your skin. Best time to apply the castor oil is before going to bed which will allow more time to work itself in and start the process which aids in growing eyelashes. Be careful and avoid getting into your eyes, because may cause extreme irritation leading to redness or even intense pain. 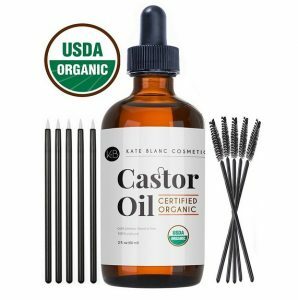 How to choose the best Castor Oil? Always choose 100% cold pressed or cold processed as these are the primary criteria of a pure and natural product. Castor oil by Kate Blanc is an example of that kind. Certified 100% pure and natural, coming with eyelash and eyebrow kit. It penetrates root to tip for thicker-looking eyelashes. Extracted from sweet almond kernels, the almond oil known to be a rich source of monosaturated fats, vitamin E, magnesium, calcium, and other nutrients that promote eyelash growth. When applied to your eyelashes, it strengthens them, preventing damage and breakage. Another quality of this oil is that it moisturizes and conditions your eyelashes. When applying Sweet Almond Oil, be careful not to get into your eyes. Always check the expiration date and never use old oil. Once you clean the oil from your lashes with a cotton pad, there is no need to rinse with water. Sometimes the combination of the oil and water can result in skin pores blockage, so avoid contact with water after you apply the oil. Have in mind, that many people are allergic to almonds, so it is imperative before using the almond oil to check for any allergic reactions, by applying a small amount to the side of the neck. If you notice red spots or itching, you will know that this oil is not for you. For some people, these might come up after a few minutes, for others – after 24 hours. How to choose the best Sweet almond oil? When choosing the best Sweet Almond Oil for you have in mind that the non-organic oil might have pesticide remains and other chemicals in it. So to get the best oil, chose the organic one. Check the label if it is stated that is 100% pure. Make sure the almond oil is extracted via the cold-press method. This means that no heat is involved in the process, keeping all the proper nutrients. Sweete Almond Oil By Cate Blanc is a USDA certified almond oil product that is organic, cold pressed, unrefined, non-fragrant and hexane free. It comes in a dark plastic bottle which protects the oil from UV to keep the liquid withstand. Lightweight gets absorbed quickly into the skin. 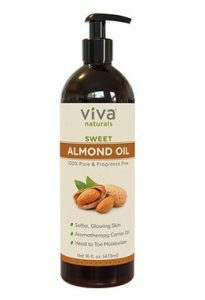 Viva Naturals Sweet Almond Oil, Hexane Free for Skin and Hair is another excellent choice. It is 100% pure with no extra ingredients, unscented, undiluted, Great for even the most sensitive skins. Many buyers claim that this sweet almond oil removes makeup easily. Besides, coconut oil contains fatty acids that have anti-fungal and anti-bacterial properties, which fight against the eyelash loss and prevent infections that might limit eyelash growth. It is also the perfect remedy for treating dandruff on your eyelashes, on the rare occasion you have that. This oil provides natural moisturizer to your lashes, visibly making them soft and shiny. Coconut oil is safe to use around the eyes, so there will be no irritation if it gets in. It is much thinner than the castor oil which means there is less weight on your eyelashes. When you use Coconut oil in moderation, it is unlikely to cause any side effects. Very rarely hypersensitive people can complain from an allergic reaction. How to choose the best Coconut Oil? 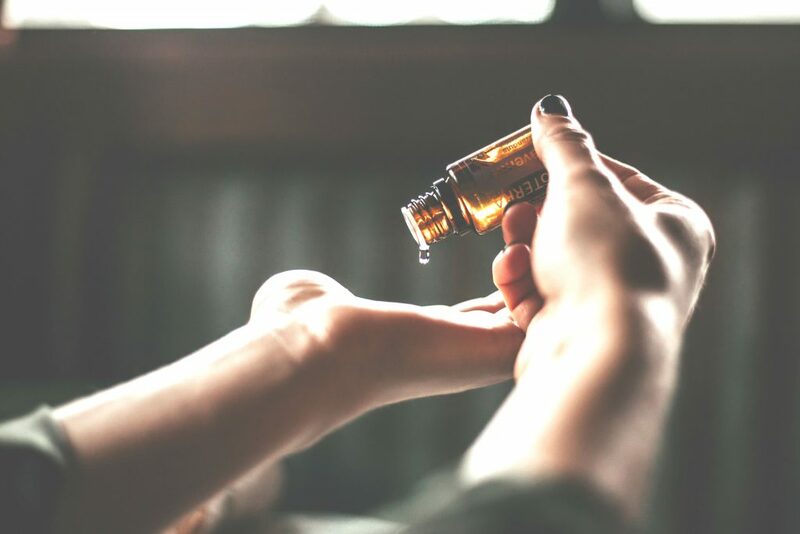 Choosing the best product for you is essential, and I am not only talking about oils but everything that will have direct contact with your body. Take care of your body and be smart when it comes to deciding which product to buy. Most of the coconut oils available in grocery stores are refined, which doesn’t have the same health benefits as the pure ones, but yes, they still are rich in fatty acid. Many companies extract their oil from immature and dried coconuts, process them at extremely high temperatures, then bleach and deodorize the oil. When the fat or oil is heated, its molecular structure is compromised, creating carcinogenic free radicals. Coconut oil is more stable than other plants, but it is best when they are produced without heat. Same as with the other oils – cold-pressed Coconut oil will maintain their nutrients and fats, will taste amazing (yes, you can eat it) and last longer. You will recognize the non-refined coconut oils because it is specified on the label. They usually are made from the first pressing of coconut without adding any chemicals to it. 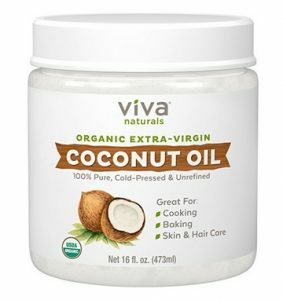 Viva Labs Organic Extra Virgin Coconut Oil is one of those 100% organic and pure oils. Their coconuts grow in the Philippines in soil rich of volcanic ash. The coconuts are cold-pressed within only a few hours after picking them, so all nutrients and antioxidants are kept. Another powerful antioxidant that also has moisturizing effects on your lashes is the “beauty” vitamin – Vitamin E. Applied to your eyelashes, it will not only make your eyelashes beautiful but protect them from damage and breakage since it creates a protective barrier against toxins. Vitamin E increases eyelash growth by stimulating circulation, enabling blood capillaries supplying nutrient-rich blood to nourish all the hair follicles. It has the ability to lock free radicals from the body, which plays a large part in the aging process. You might already know it from my article on eyelash loss that aging is one of the main reasons for thinning lashes. Before applying it on your eyelashes keep in mind that some people get irritation which may result in reddening of the eye and a lot of discomforts. Just be careful and try not to get it in your eyes. You can use vitamin E capsule or vitamin E oil to apply it to your lashes. How to choose the best Vitamin E oil? 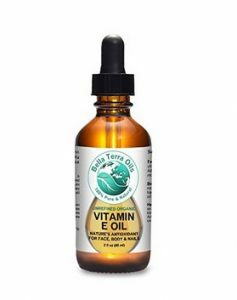 This oil rarely consists of 100% Vitamin E. Different companies add different oils to make it smooth and absorbent. Look for organic Vitamin E on the label as opposed to synthetic Vitamins E, created in a lab. We stick to naturals, remember? One other thing – for Vitamin E oil is not very absorbent. However, to work its magic on your skin from inside out, it is to be. This oil contains the most number of vitamins compounds, making it the one that works faster and more effectively than other Vitamin E oil. It is completely organic. In fact, it is one of the few Vitamin E oils that is pure, without other oils in it. Because it is 100% pure, this oil doesn’t absorb as well as other oils. 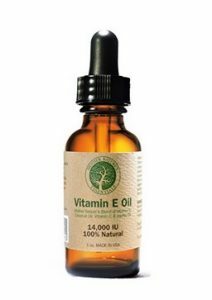 Mother Nature’s Vitamin E oil contains 100% organic Vitamin E oil, which is what we should look for. It is not 100% Vitamin E oil, because it contains also other organic oils, such as jojoba oil, and coconut oil. Because of the additional oils this oil is absorbent and doesn’t leave a sticky or oily residue. The Moroccan’s miracle. Extracted from Argan tree, this oil is rich in antioxidants, fatty acids, and Vitamin E, making it a powerful moisturizer that can help hydrate your eyelashes. Using the Argan oil on a daily basis will not only help with conditioning but will also make your eyelashes long and healthy. Just like most of the natural oils, the best time to apply it is before you go to sleep so that you will give it a time to work on your eyelashes. Do not over-apply it, because you will get a stinging sensation. Remember to rinse the oils in the morning. As mentioned, Argan oil comes from the Argan tree, which is a native desert tree from Morocco. The Argan nut is the fruit of this tree, and the oil is obtained from this nut. Since most features of the nut are kept during the cold-press method, those who are allergic to nuts are more susceptible to allergy. Even though the pure Argan oil is a natural oil, some people complain about rashes and itchy skin. If you have nut allergy, consider testing this as described previously on the side of your neck or behind your ear. To reduce the risk of side effects, it is essential to have a high-quality Argan oil. Pure Argan oil is hard to obtain, and the production is a long and difficult process. Because of that, the price is high, and many Argan oils on the market are diluted to make them cheaper. So better invest a little bit more on a good and pure oil, instead of paying less and have some undesired side effect. Look for cosmetics that has only one ingredient: 100% Argan Oil (Argania Spinosa) Kernel Oil. No preservatives, no fragrances, no parafilm, not even water – just pure, organic Argan Oil. Don’t buy Argan oil in clear plastic bottle. The light will affect the quality, breaking down the oil’s best properties. Dark glass is the only way to store this oil. Therefore to maintain the quality of your Argan oil, keep it in a cool and dark place. You might think the more scent the oil has, the more quality in it, but no. The best Argan oil has almost no smell. Sometimes people add artificial fragrances to the oil, but this will only remove the important nutrients and increase the risk of irritation. The natural Argan oil should be smooth and not too watery. When applying on your skin, it should disappear. Its color is light golden yellow. If it is transparent or nearly transparent, then there are probably other oils present in it. Always look on the label for “100% pure”, “cold pressed,” “ Made in Morocco” and of course the ECOCERT/USDA certificate. I have two favorite Argan oils, both from Morocco and organic certified. 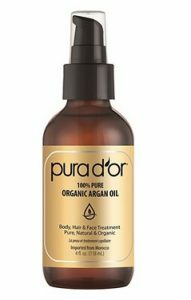 Pura D’Or Moroccan Argan Oil 100% Pure & USDA Organic is free of parabens, contains no fillers, colors, or artificial fragrances. There is only Argan oil in it and no chemicals. It comes with a handy pump and clear plastic cap for easy usage. It is in a dark glass bottle – exactly like we need it to be. 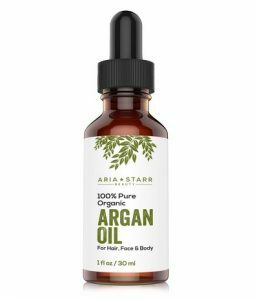 Aria Starr Beauty Organic Argan Oil is the other oil on my favorites list. Notice the dark glass bottle to protect its contents. Some people, who develop an allergic reaction to other Argan oils, claim to have no problem using this one. This oil contains even more monounsaturated fatty acid than extra virgin olive oil. This acid is the one making the oil so good for your hair and eyelashes. When applying the Avocado oil to your lashes, make gentle massaging moves close to the roots of your lashes. This will stimulate blood flow to your hair follicles, and more nutrients will reach them and then stimulate new growth and healthier eyelashes in general. It also contains a high level of antioxidants and Vitamin E, protecting your eyelashes against environmental stress and damage. An interesting fact is that unlike other oils made from the seeds of plants, Avocado oil is extracted from the flesh of the fruit. If you are allergic to avocado, then, unfortunately, you will have to avoid Avocado oil. One such example is if you have latex allergy related to avocados, bananas, chestnuts, kiwis and passion fruit. Unlike Argan oil, that has difficulties penetrating the skin and needs to be aided by other natural oils, Avocado oil has no such problem and you can get it pure. Of course, look for the organic certified, cold pressed and unrefined one. It is good to look for “extra virgin” but those are usually Avocado oils for cooking purposes. 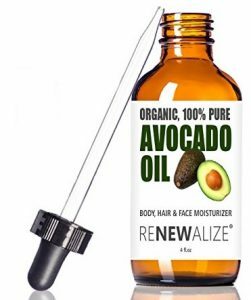 A high quality Avocado oil satisfying three out of the four criteria is the Organic AVOCADO OIL Skin Moisturizer by Renewalize. It is a certified organic, cold-pressed and unrefined oil, perfect for your eyelashes. Attention: there is a warning not to ingest it. I am sure we all know what Olive oil is and have it one in our kitchens. My boyfriend has no idea how much he contributes to our family every time he makes the salad for dinner. Did you know that eating two tablespoons of Olive oil a day may reduce the risk of heart disease, protecting the heart and blood cells from damage? Rich in Vitamin E and Vitamin K, it is a powerful antioxidant that many women use it for cosmetic purposes to soften the skin, condition hair and to promote thick and long hair growth. It is also known as one of the best home remedies for longer eyelashes, encouraging growth and making your lashes stronger, thicker, and less prone to fall. Because Olive oil contains essential nutrients, applying it regularly will make your lashes healthier and stronger. It also benefits the skin around, as it is a great moisturizer and helps prevent wrinkles. Another plus is that you can use it as a makeup remover. Don’t expect miracles on the very next day. Be patient and regularly use this oil. In a month or so you will notice the benefits of your perseverance. Best way to store the olive oil is in in a cool, dark place and be sure to use within three months of opening. Like we know, the best oils are the ones that go through minimal processing. In the Olive oil world, this is called “Extra virgin”. Lower quality oils that have gone some purifications or refinement are simply labeled “olive oil” or “pure olive oil”. Light exposure makes it lose its healthful properties, so you should be seeing dark bottles for the good brands. 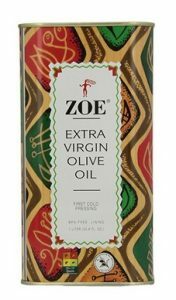 A popular choice around the world that covers all criteria for eyelashes is ZOE Olive oil . Personally, I like it because it also smells delicious. Not very popular, but very effective when it comes to eyelashes growth. Extracted from the roots and leaves of the burdock plant, this oil has been used for ages in Chinese herbal medicine. It is rich in phytosterols and essential fatty acids. Also contains Vitamin A, Vitamin B, Vitamin E, iron, zinc, magnesium, and potassium. Everything in one plant, helping in maintaining healthy hair follicles. It has antibacterial, antifungal, and antiseptic properties. We also know it as a dandruff healer. People who are allergic to chrysanthemums or daisies may be at an increased risk of having an allergic reaction to burdock root and should avoid it. Pregnant women also should avoid Burdock oil, mostly because of the lack of research on the specific impact it might have. How to choose the best burdock oil? 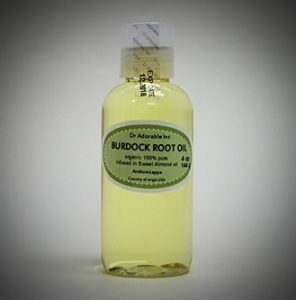 Burdock oil usually doesn’t come pure. So, the right burdock oil for your eyelashes is organic, without chemicals and has been infused with sweet almond oil. You may find items with pepper instead of almond oil but don’t use those, for obvious reasons. It is a bit difficult to find a good one, but here it is! Burdock root oil infused with sweet almond oil. If you are a vegan, Emu oil is not for you because it actually comes from the surrounding fat of the emu animal. This fat is refined into oil and becomes an ingredient of many cosmetic and health products. An interesting fact is that people initially discovered this oil to help regrow lost eyebrows during glaucoma treatment. When a rapid growth was noticed, the Emu oil industry was born. Recently the emu oil has even been recognized for its anti-aging effects. It minimizes the appearance of wrinkles by adding thickness to the skin. Unfortunately, eyelashes naturally begin to thin out and become brittle as we age. The Emu oil is rich in linoleic and alpha-linolenic acid, making the emu oil a natural hair conditioner. It easily penetrates and stimulates hair follicles. Some women have noticed that this oil also makes their eyelashes darker, which is perfect because they can remove all chemicals from their lashes by not using mascaras. The one issue with Emu oil is that sometimes it gives skin rashes as a side effect. How to choose the best Emu oil? This kind of product loses its effectiveness with time. A dark yellow, red or brown tint indicates a low-quality product or a poor refining process. For that reason always choose light-color oil. Also, quality refined Emu oil has no odor, so keep this in mind when selecting the best one for you. Is always best to use 100% pure and fully-refined Emu oil. It should be high temperature processed to reduce bacteria and toxins. Always look for AEA certification, an abbreviation from American Emu Association. Only those are considered to be with the highest quality. 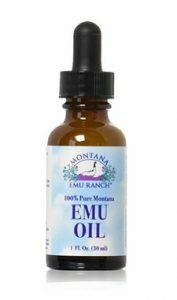 I like 100% Pure Montana Emu Oil Montana Emu Ranch as it is 100% pure, certified with no chemical preservatives, colors, or fragrances. This oil ( which is mostly like a wax ) is famous with its beneficial ingredients, which are Vitamin E, helping to keep the hair and skin hydrated, Vitamin B complex, silicon, chromium, copper, and zinc. It also contains 82% iodine which helps to heal damage and fight against bacterial and fungal diseases. In addition, it contains beneficial fatty acids with moisturizing effect, keeping the hair and the eyelashes soft and nourished. The Jojoba oil keeps its non-oxidizing properties even when exposed to high temperature. This oil, extracted from the seeds of jojoba trees is soft and naturally absorbed by the skin. This is very important because all good properties go directly, like a needle deeply into your skin, moisturizing hair follicles, hence preventing eyelash loss. People also use Jojoba oil for treating acne and healing wounds. Also known as a makeup remover, lip balm, face and hair moisturizer and many more. Usually, Jojoba oil is safe when applied to the skin, but it is not safe to ingest. The most important thing to note while selecting the best Jojoba oil is that it should be organic. Avoid chemical as much as you can. Should be labeled as cold-pressed and unrefined. Jojoba oil when unrefined is a clear golden liquid with a mild nutty scent. There are so many Jojoba oils on the market. Some of them are extremely effective, while others are crappy. It is difficult to choose which brand to use, so keep in mind those recommendations above. 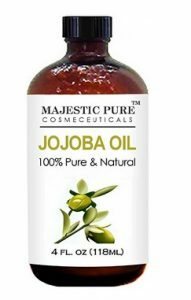 Coming in a dark bottle, Majestic 100% Pure & Natural Jojoba Oil for Hair and Skin is pure, natural and organic and will make your eyelashes soft, nourished and healthy. 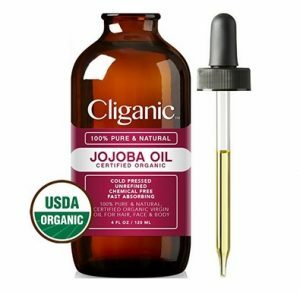 Cliganic 100% Pure Natural Cold Pressed Jojoba oil is the one I love the most. Also coming in a dark bottle, it is organic, and USDA certified. It will straighten your eyelashes, boost their growth and yeah…when you go out, don’t forget to put that mascara on and you will rock! Did you know that by mixing these oils you will get your own homemade eyelash serum.